Orange in glass. HMM a photo by Ianmoran1970 on Flickr. 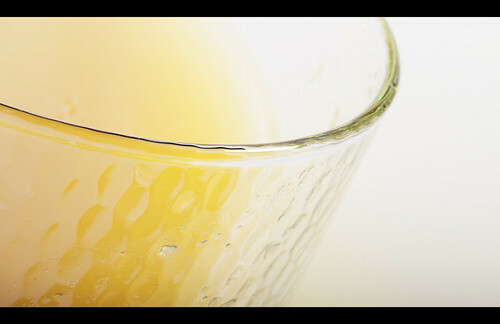 Since this another excellent piece of work by the amazing Ian Moran…and the fact that I have a craving for Orange Juice nearly every day, I decided to post this amazing macro photo! In fact, I’m going to stop rambling and get a drink to partially quench my desire for the vitamin-c enriched juice… Cya chumps! A simple shot of orange in a glass. Refreshing stuff in the morning, something I typically will drink with my breakfast before hitting the coffee. Hope you enjoy this stuff too. Orange is also my 1st sons fave colour.. not a bad choice I feel. Apologies for being so obvious with the interp, but it is indeed orange! Previous Post Well, well, well. What have we here?